Kasha Ki Aasha welcomes the Free Jazz Quartet to our terrace this Saturday at 8 pm. Looking forward to a selection of the classics and some new sounds by some of India’s best emerging talents! Music starts at 8 pm and runs to 10 pm. Enjoy our South Indian specials with a glass of something cool. 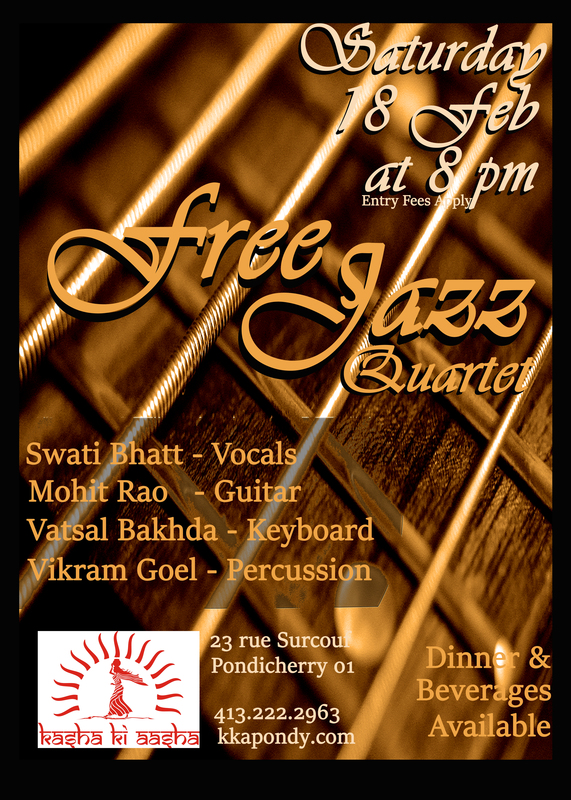 This will be a Purely Pondicherry evening you won’t forget!